When It comes to food, Im so honored to talk about this, Jibril! 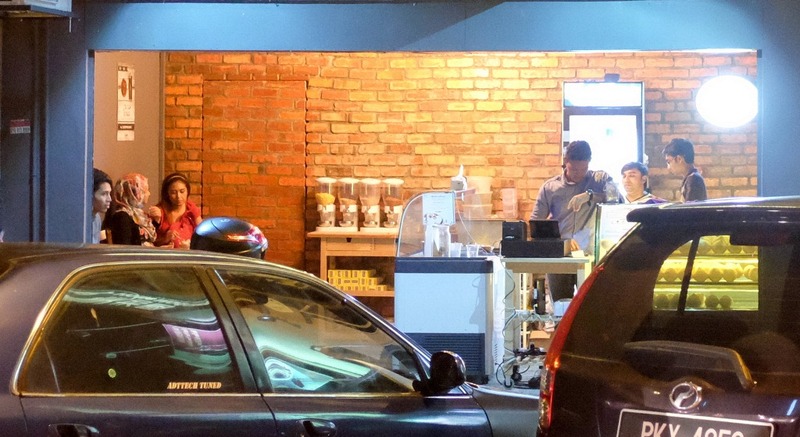 Who knows an angel who delivers message could turn into a famous cafe? located at a strategic and urban location of SS15 which is so well-known as a hangout place for locals, this cafe is a must-visit one! But trust me, the owner doesn't want you to easily find his cafe LOL because all you can see from outside is the Sangkaya huge signboard. So, you know what is the most interesting part? To get inside the cafe, you need to get through a blood red brick kind of door which looks like the one in the Kingsman movie; the turning doors! As sail yourself beneath it, you will see a "BIG" signs JIBRIL in an Arial text! 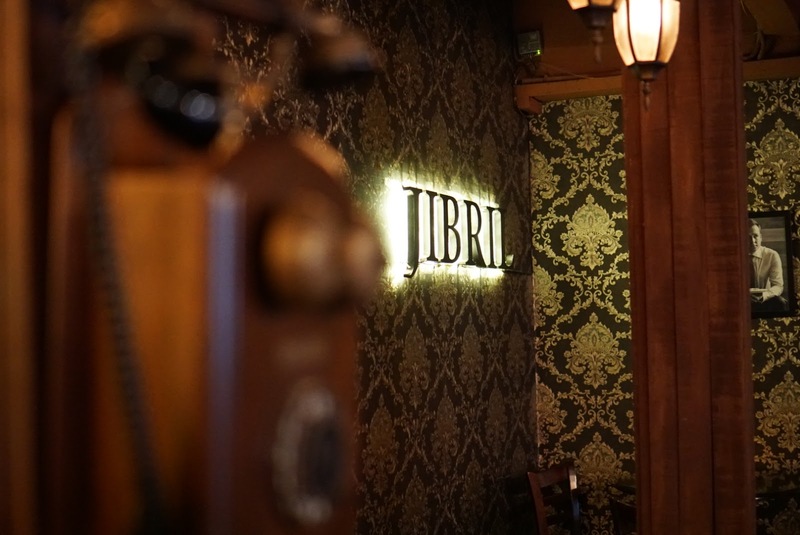 Jibril offers their customers with a warm and dim ambiance plus the 70s-80s vibes as in the interior. Charlie Chaplin or any black and white movies are norm here in Jibril. There are sets of dining tables for 2pax, 3pax, 6pax and even they got for 8pax. I know right. This is a good place to plan for your next Birthday Dinner but err remember to bring a GOOD camera DSLR and yup, you really need a flash! As I sat down, I could feel the vibes of the famous restaurant like the one I had in London. Gosh, im missing London! HAHA OK let me tell you more about the FOODS. There are various types of food to select from Salads to Butter Chicken to Nasi Goreng Nenas LOL. Who cares about calories when you are in Jibril. Calories can wait but your craving cant. 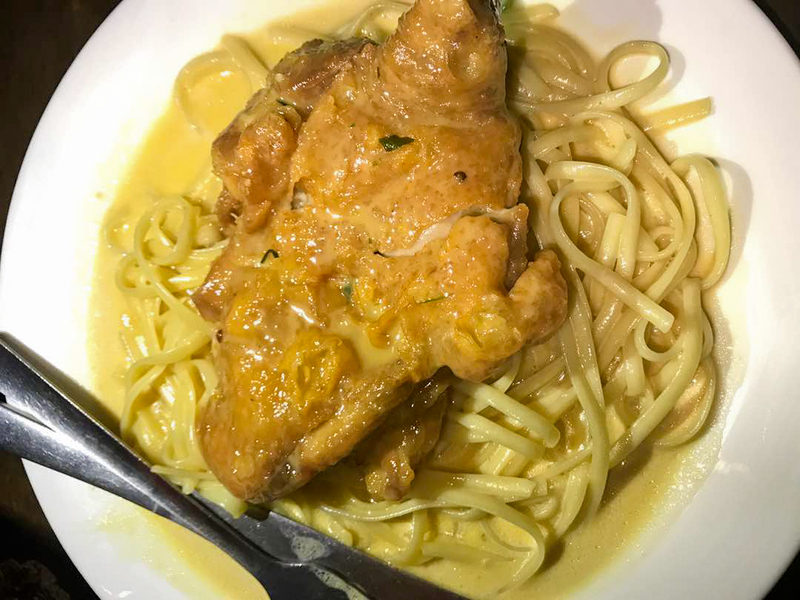 Personally, i think Jibril offers the BEST butter chicken I've tasted in Malaysia. 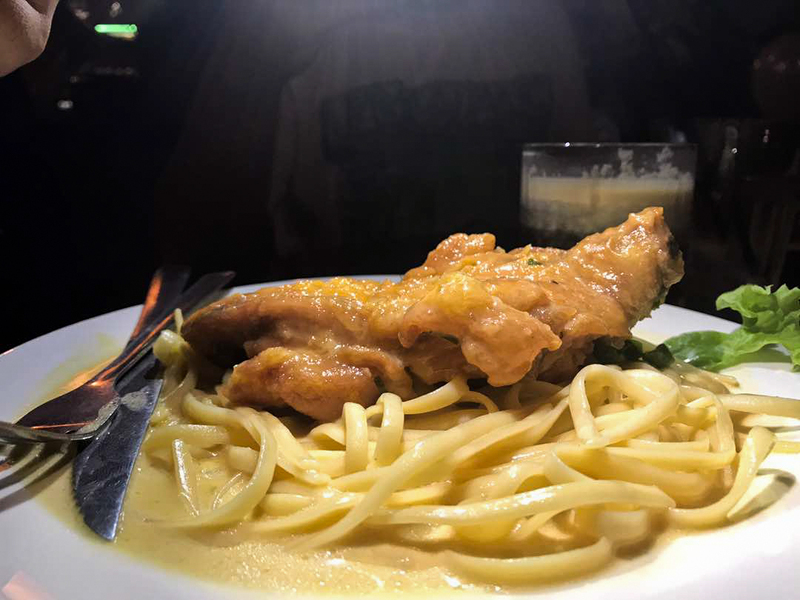 The creamy-white buttery sauce with the a sliced of chicken breast served with a perfect well cooked rice is worth to be FAT for. Cost RM19.90 per serving. They also have a Pineapple Fried Rice. 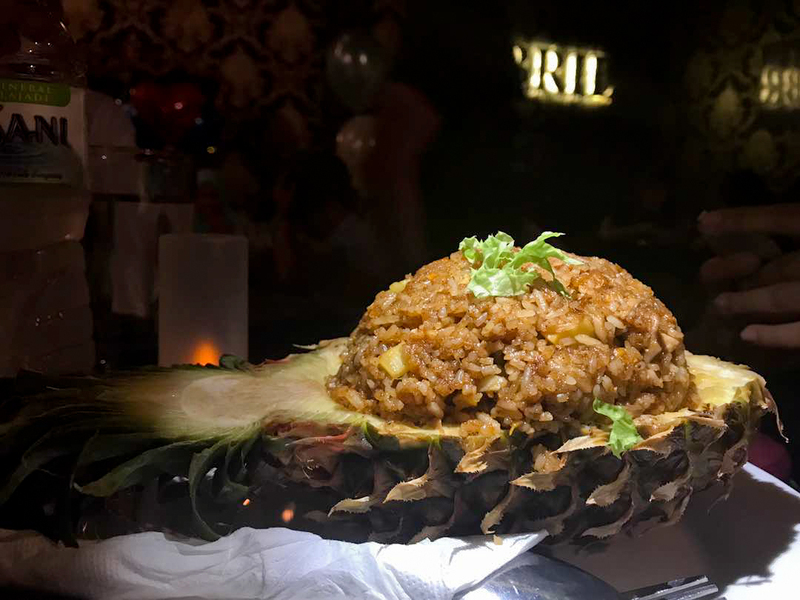 The fried rice is just nice but the fun thing is they served it in a Pineapple! 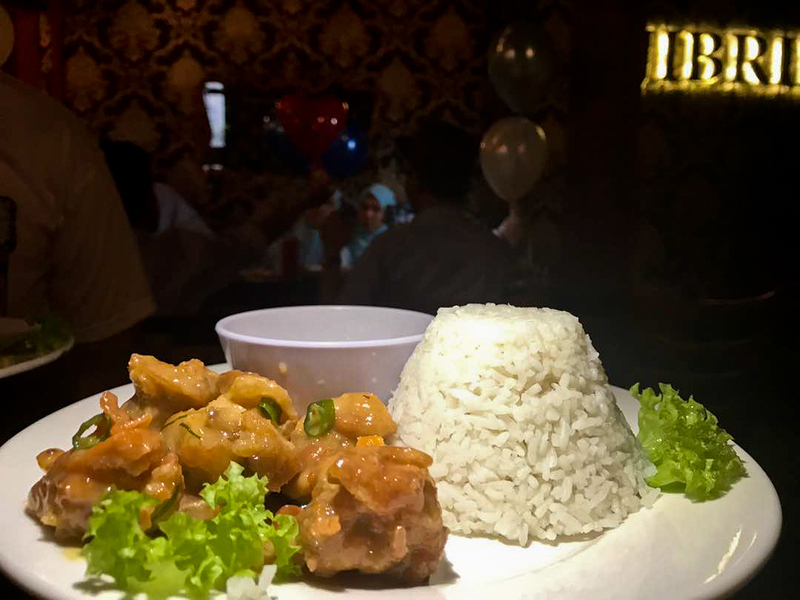 i think you can share with another friend because the portion is quite big and price is only RM12. This one is also so good, it pass my bedtime. The next one I tried is the Butter Chicken Pasta. Aahhhhh~. This pasta was so good that when you click some spoon inside, the buttery cream stick to it. How creamy that is???? cost us RM22 per plate. No you’re not ready to go home without trying on their Red Butter Chicken. 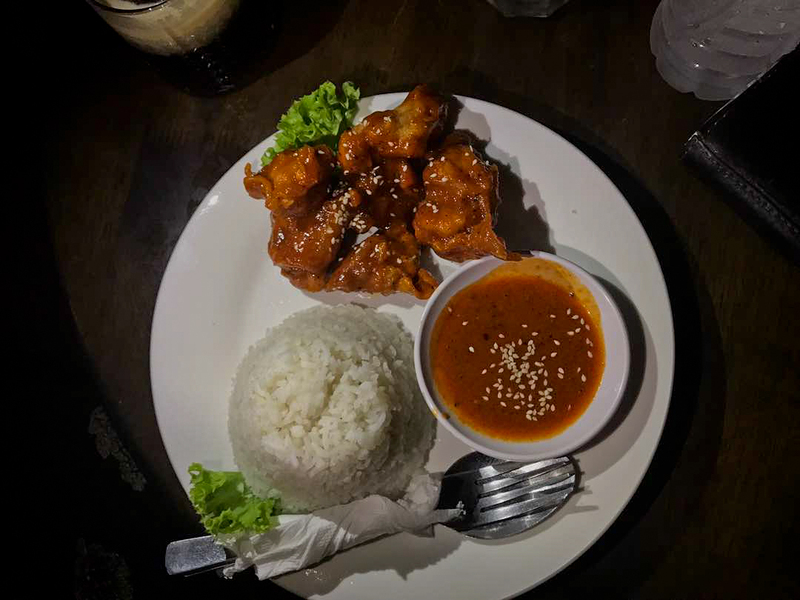 Just imagine, a fantastic Jibril Signature Butter Chicken is altered with some red sauce with some sprinkles of sesame seed on top of the Chicken Slice with some BBQ gravy. This is a food worth trying for before you Die! HAHA like seriously, try it once. Cost RM18.90 per serving. Well, Im truly sorry for those bad photos because it was an unplanned dining with my friends, so of course, i left my DSLR at home. 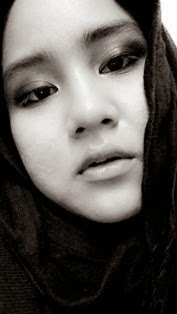 what an awful photos, gosh i HATE looking at it! 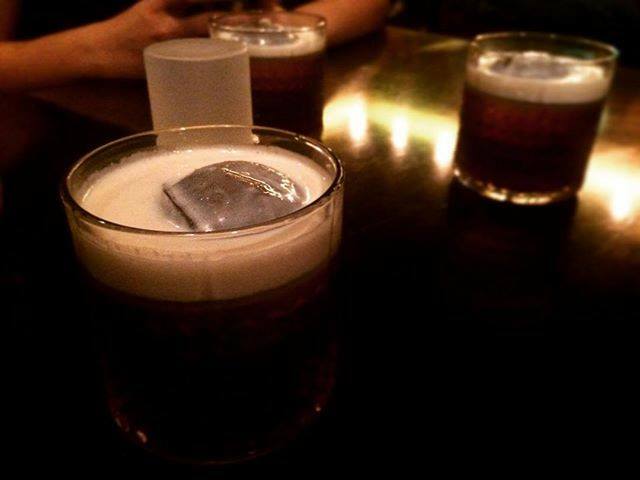 i do feel like wanna make another visit just for the sake of better photos and yup AGAIN SIPPING ON THAT POTTER DRINK. its so addictive wei!